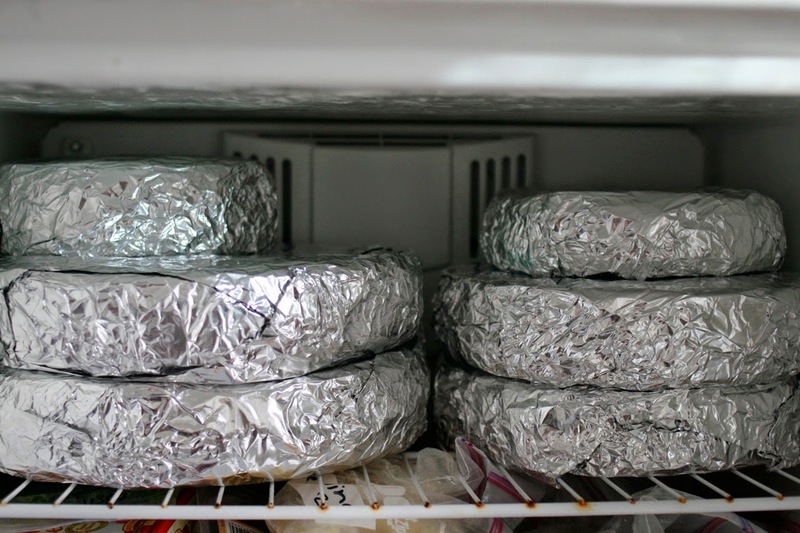 Many people ask me how I store food in the freezer - do I use aluminium trays? Lots of plastic containers? Well, here are my tips on how to wrap/package/store food in the deep freeze. Most foods can be stored in plastic containers but I don't own an enormous collection of containers so I prefer to use ziplock bags. I buy good quality bags for wet foods such as soups and casseroles as the cheaper bags sometimes leak. For food such as cooked rice, cookie dough balls etc I use cheaper ziplock bags from Aldi or other supermarkets. Ziplock bags come in various sizes from small to extra large. I keep a variety of sizes on hand as they all come in handy. Don't forget that ziplock bags are fine for freezing but you should never reheat food in the ziplock bag. To defrost: place the ziplock bag of frozen food on the kitchen bench or in the fridge till defrosted (or partially defrosted) then move the food to a suitable dish/saucepan for reheating or cooking. Some foods are better stored in plastic containers - you can buy these from discount stores and supermarkets, or you can recycle containers from takeaway meals. If I am preparing a meal for a friend I will normally give it to them in a takeaway container rather than a ziplock bag. Always write a description of the food and the preparation date on the packaging as all food will look identical when it is frozen! 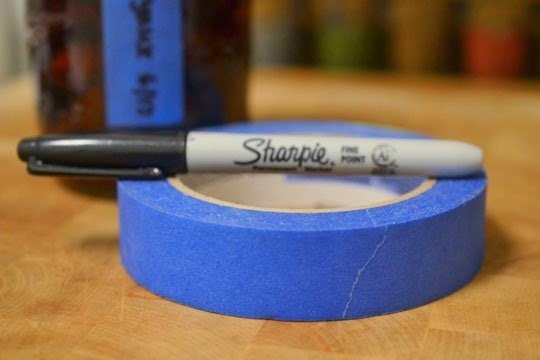 I love using Ziplock bags as they have a white strip to write on, but if using plastic containers I recommend using a piece of masking tape and write on the tape. Some meals such as lasagne or pies must be stored in a casserole (ceramic or glass) or pie dish (ceramic or metal). Make sure you use casserole dishes that are suitable for the oven and freezer. If you don't have too many dishes you might like to use aluminium disposable trays. They are perfect for meals that you are giving to someone as they don't need to be returned. Delicate foods such as tarts are best stored in their tart tin (and wrapped in cling wrap) otherwise they may be damaged in the freezer. Make sure you place these items at the top of your freezer, not under several heavy containers of frozen food. You may need to buy an extra tart tin in your favourite size if you find that one is regularly in the freezer. Cakes do not need to be stored in a container in the freezer. I normally wrap them in a double layer of cling wrap or foil before placing in the freezer. When wrapping food in foil, bear in mind that it might not be airtight so I recommend using two layers of foil or wrap in foil then wrap again in cling wrap. When storing liquidy foods such as soups and casseroles, don't forget that liquids expand upon freezing so make sure you don’t fill your containers to the brim. Sometimes I'll freeze snacks for my daughters' lunchboxes (homemade or from the supermarket). I prefer to wrap them individually before freezing as it makes life a little easier during the morning rush. 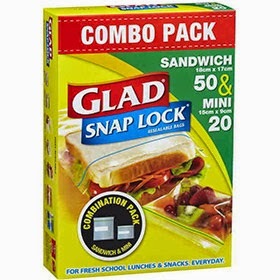 The girls just grab a few items and pop them in the lunchbox then we're out the door. 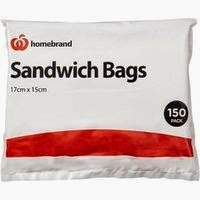 Now that my girls are older I enlist their help - I give them a packet of little plastic bags (little cheapie bags like these ones from Woolworths), a packet of mini lamingtons or pikelets from the supermarket, or some homemade muffins, and a roll of sticky tape. They put a single portion in each bag, twist the top of the bag and stick it down with sticky tape. Then all the little parcels go into the top draw of our freezer, ready for school time. Items such as hamburgers or schnitzels should have a sheet of non-stick baking paper between the layers of food, otherwise they will stick together in one almighty clump. I have a large freezer so I normally cook double or triple quantities of most recipes. That means I have dinner tonight and another meal in the freezer for when I don't feel like cooking. Win win! That wraps it up (no pun intended) for my tips on preparing food for the freezer. If you have any questions or would like to leave a comment, feel free to drop me a line below.